Norma Landeros-Ramirez and her husband were out enjoying a romantic stroll along the beach on their honeymoon. The chosen location was beautiful South Africa. Imagine their surprise when they capture another romantic moment unfold right before their very eyes. 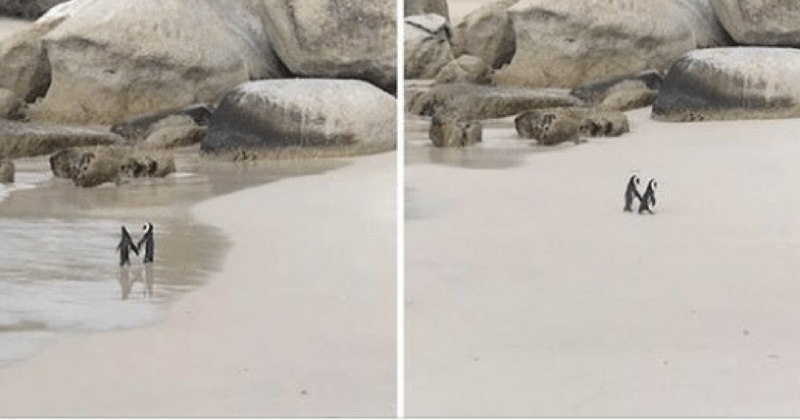 They quickly grab their camera to capture the endearing moment as two penguins hold flippers and walk along the beach in front of them. Penguins in Africa? 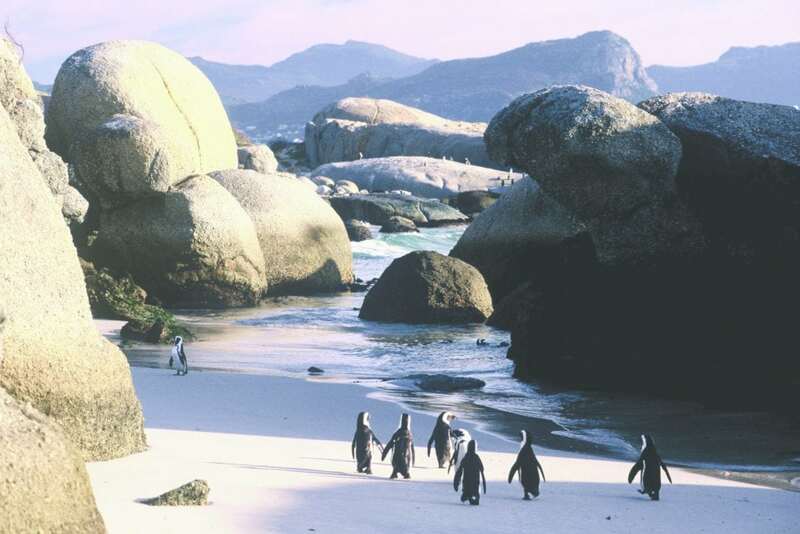 Well, the original video doesn’t disclose the exact location of the surprising capture, but penguins such as these are often seen at Boulders Penguin Colony in Cape Town, Africa. This specific breed of penguins emerges there and are seen by locals and tourists alike. 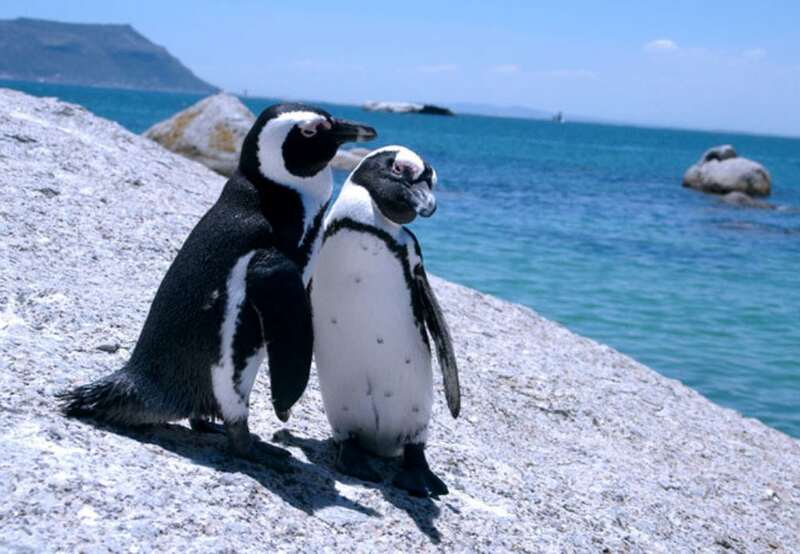 Evidently, penguins are rather romantic creates and have even been caught holding hands on occasion. 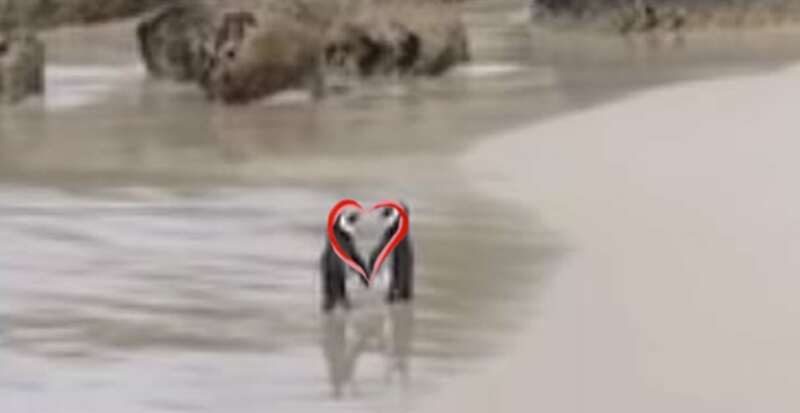 During their walk along the beach, the two penguins glance at each other and, for a moment, their flippers and their faces form a heart shape. Not only does this species of penguins stay with their mate for life, they also take care of their children together. They are not migrating animals and stay within their colony to breed. Both parents actively incubate the eggs and take care of the chicks once they are born. Their devotion to one another and to their family and colony is evident in everything that they do. It truly was a cherished memory for one couple as they witness this special moment on the beach. When you love someone, you love being near them, and sometimes, you just have to reach out and take their hand…or in this case, their flipper. While these penguins hold flippers and enjoy each other’s company, penguins are not the only species that form strong, lifelong bonds with their mate. Sea otters hold hands to keep from drifting apart while they sleep. They anchor themselves together so that when they awake, they will be able to find each other. I guess that makes them pretty wise animals. Maybe we could learn a thing or two about love from these adorable creatures. This glimpse into the lives of two penguins is a subtle reminder of what truly matters in life. The lessons learned from their lives are many. The peaceful and simple way that they approach life makes sense and also makes up think about our own choices in life. So cuddle up next to your loved one, hold their hand as you walk along, and anchor yourselves together so that you will never drift apart.